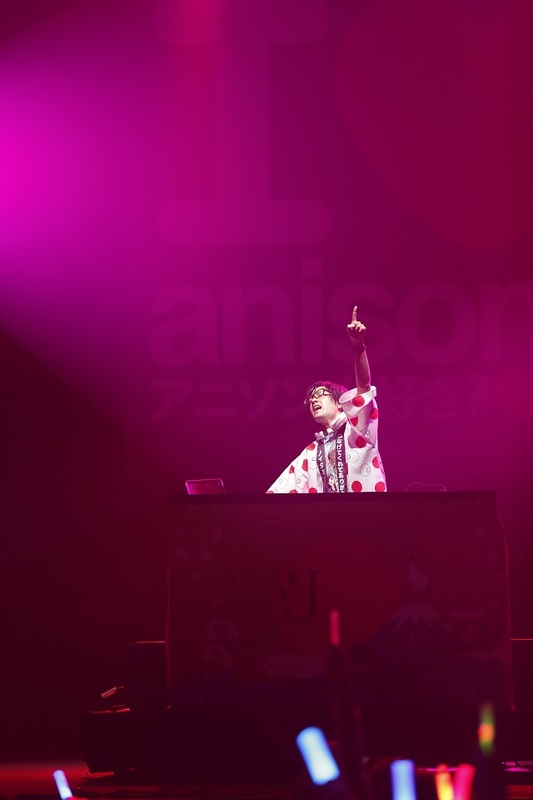 Kicking off with Day one of the ‘I Love Anisong’ concert night. 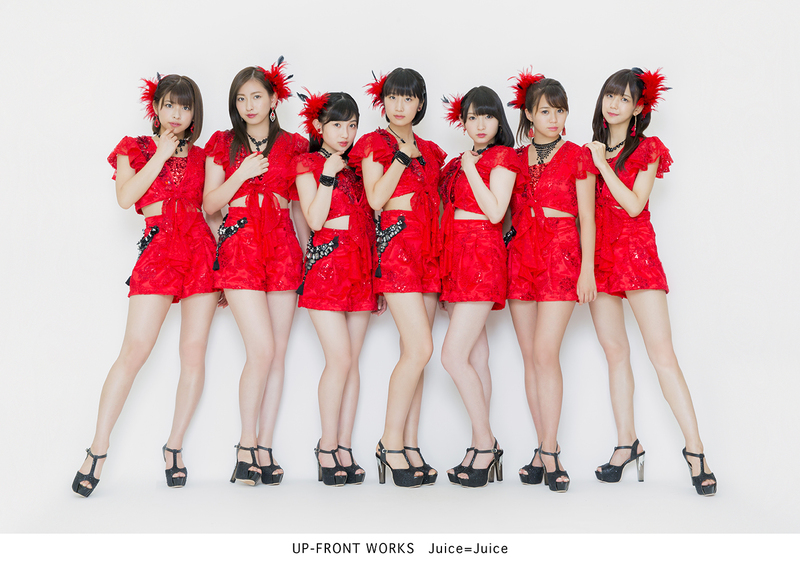 With a new lineup of artists this year ‘I Love Anisong’ AFA is ready to wow fans with a explosive concert this year in Indonesia once again. Before the gates were even opened we can already see anxious and excited fans already at the door waiting for it. From the looks of their eyes we can see the burning passion in them waiting anxiously to see their idols on stage and have a good time with them. 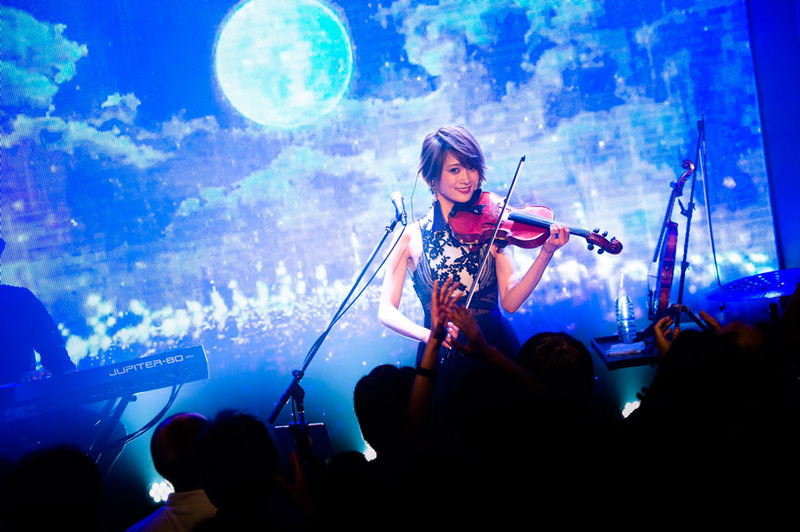 Since the concert last year from AFA SG 2013, Chelly has been one of the highly in demanded artiste for appearance in AFA. Incorporating with “3.5D the Live” Chelly was protracted onscreen and onstage with the effects of the light showing an animated character of her onstage while she’s hidden behind the screens. 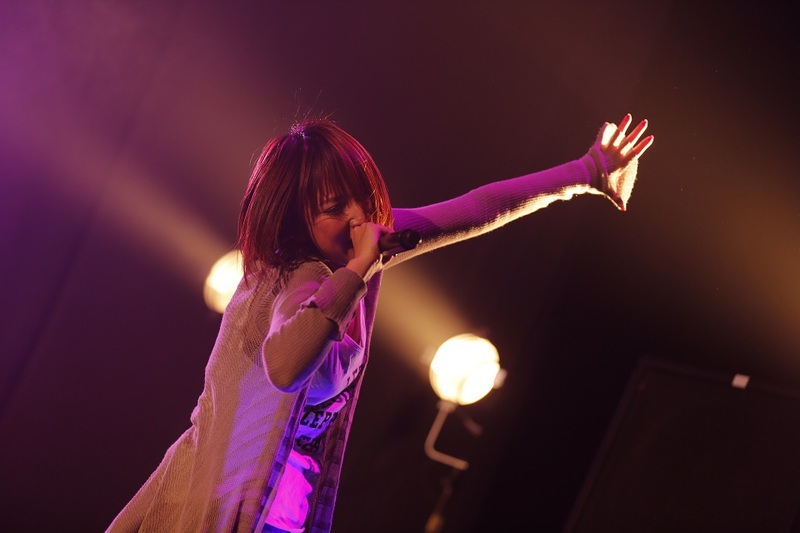 Her captivating voice from the concert definitely proved that she was indeed the right person Ryo (Supercell) selected to represent his music in “Egoist“. Egoist music are presented like a story filled with emotional lines in-between the songs before transiting on to the next song. To kick off the concert Chelly started with “Namae no Nai Kaibutsu” from Psycho Pass getting the crowd pumped up before moving over to songs from her album, Guilty Crown and ended with ‘Departure ~Anata ni Okuru Ai no Uta~” and a finality line indicating there will be another chance we will meet again. Next up, we have DJ Kazu his splendid skills in mixing of anime songs together was definitely the highlight of the night capturing the hearts of many fans. 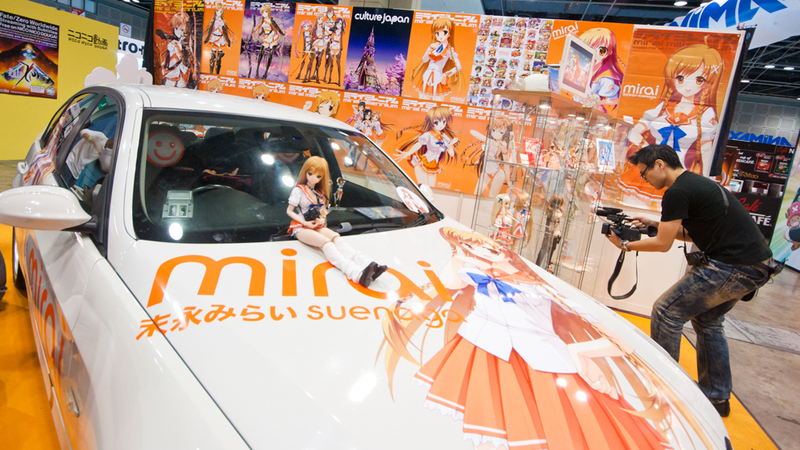 Bringing to them anime songs past and present which are highly in demanded for and popular. His smooth music keeps the atmosphere in concert high and the crowd cheering non-stop. The crowd roared was tremendously loud songs after songs non-stop from anime song from Love Live, Idolm@ster, Bakemonogatari, Chuunibyou and even AnoHana. 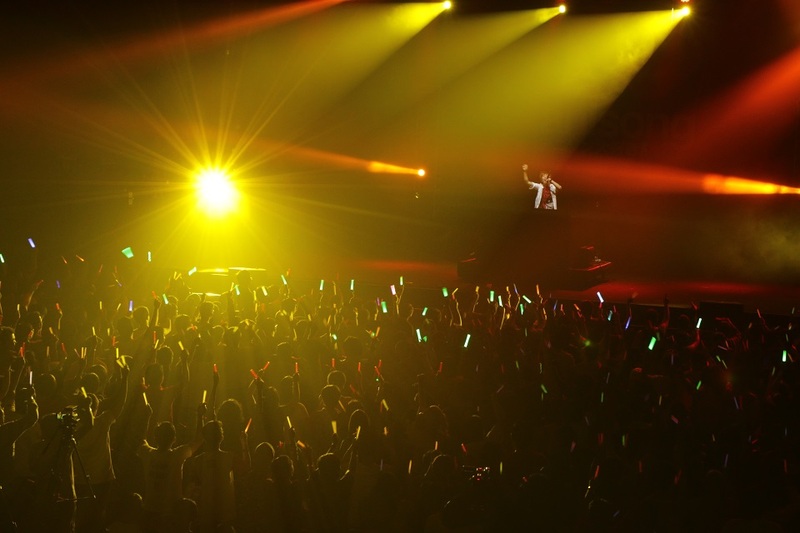 Nevertheless, there was no better way to end the last song with Gurren no yumiya from Shingeki no Kyojin as a revenge song getting everyone on their feet jumping high up in the air. Love Live! – Natsuiro Egao de 1, 2, Jump! 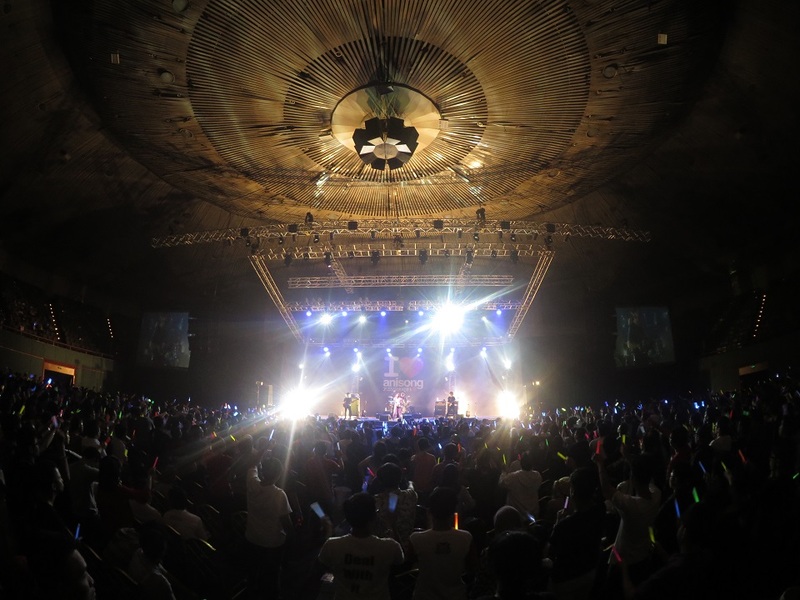 Since the last Vocaloid concert back in May in Indonesia (Miku Expo), Vocaloid fans seems to have not got over the adrenaline rush from it. And have been craving for more ever since. 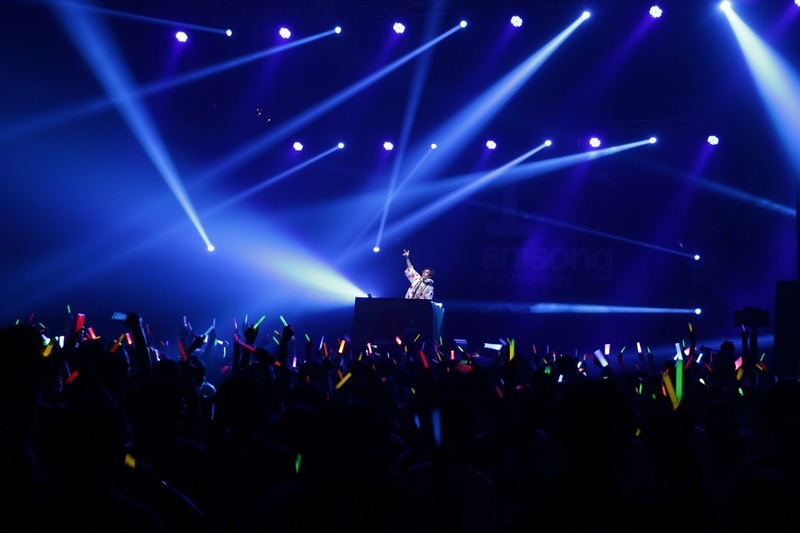 What better way than having one of the Music Creator of vocaloid Hachioji-P present bringing Hatsune Miku‘s voice to new heights over and leading the crowd? 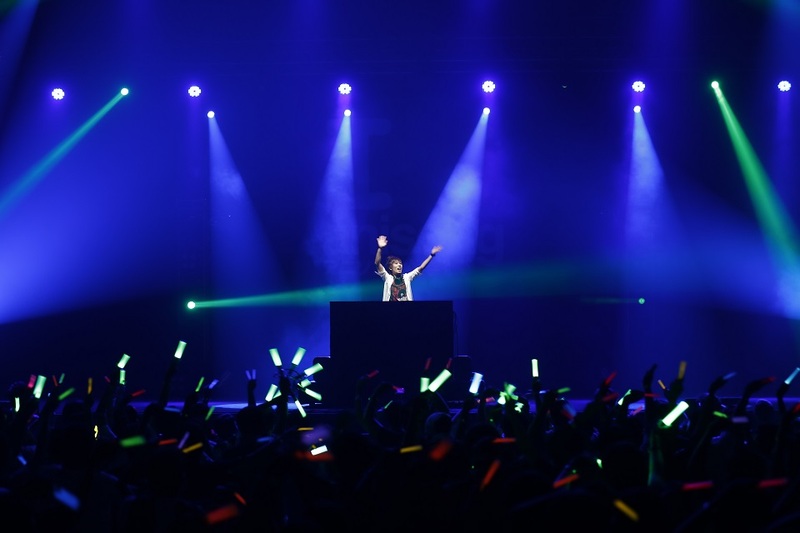 Hachioji-P starting off leading the crowd with his latest touch bringing his music to greater heights by wowing the crowd with his new mixs, opening with his power hit “Game over” and playing his new song ‘”Twinkle World” together with a new mix for “Weekender Girl”. 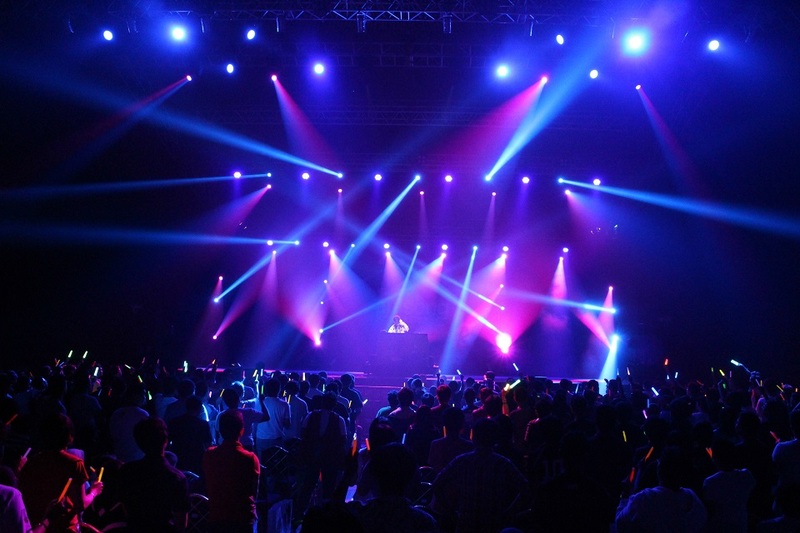 He also showcases his DJ-ing skills by mixing songs from creators Dixie Flatline, supercell and livetunes. 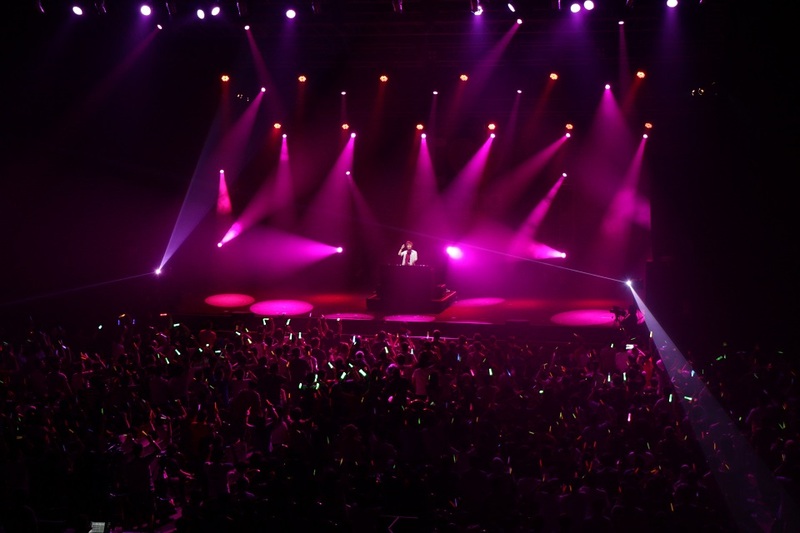 Top hits songs “Just Be Friends“, “Melt“, “Black Rock Shooter“, “Tell Your World” were brought into his mix of Vocaloid songs filling the hall up full with Miku’s love before he takes his leave with a sincere bow. 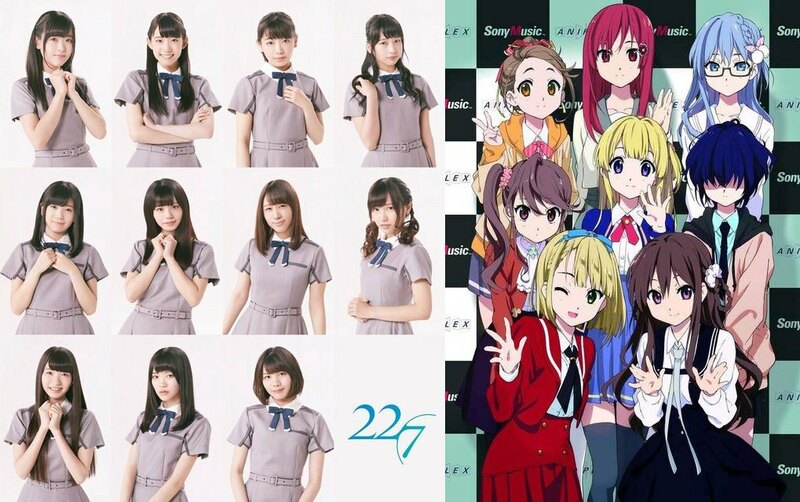 The last appearance is none other than Eir Aoi. 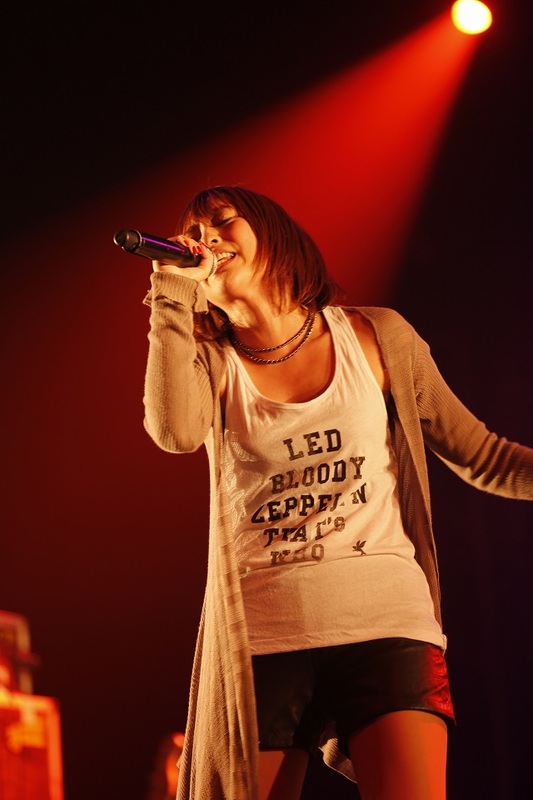 This is her 3rd time in Indonesia but this time round she bought down her band members to pump up the concert. 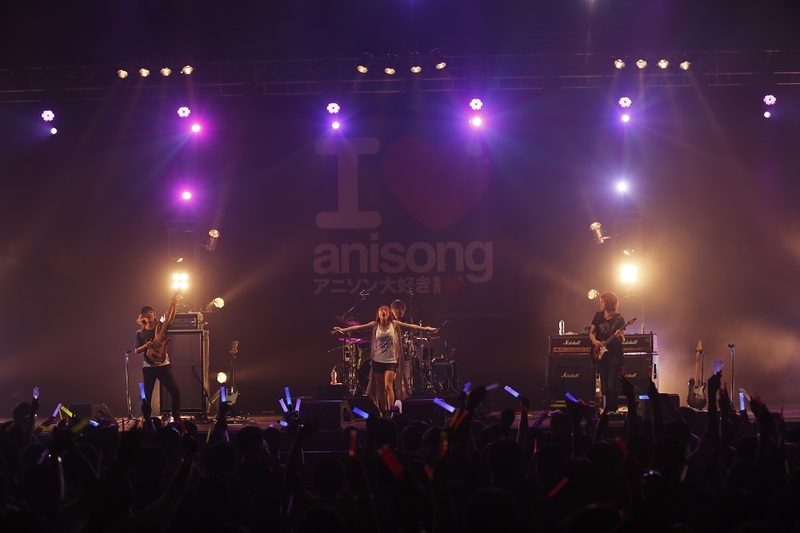 Opening with “Sanbika” from “Kill La Kill”, the whole stage was blast with the energetic song to get everyone high. 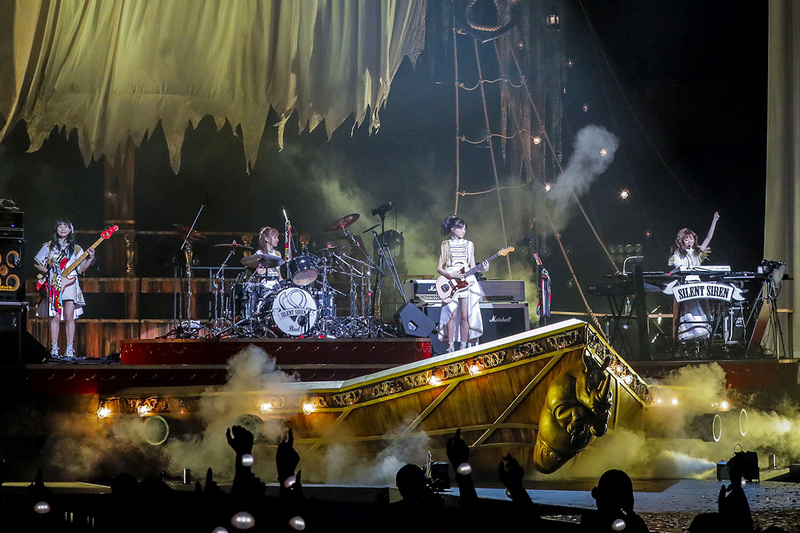 With her band this time, she managed to excite the audience with another level of her showmanship bring us closer to her “Aube” tour she did in Japan few months ago. 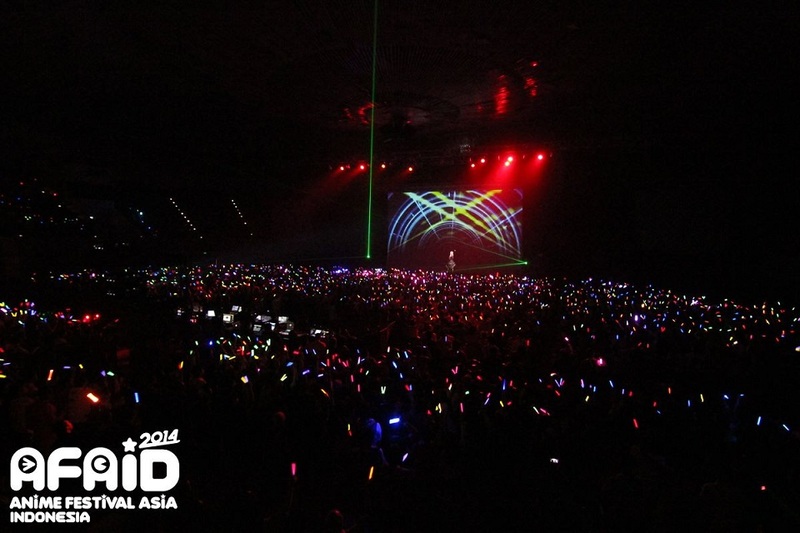 Her song “Kasumi” from the latest album, the audience also shows that this is not a non-familiar song with colourful lightsticks waving throughout the song. Last and nevertheless, she sang “Ignite” from “SAO II” to revive the audience and last song with “Sirus” to finish up the night. 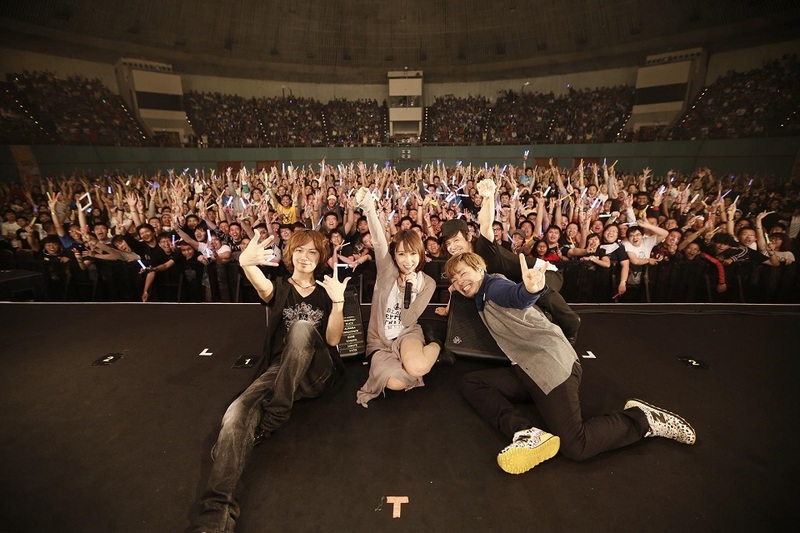 Eir Aoi also took the chance to take a photo with the audience and posted it on her Facebook page.